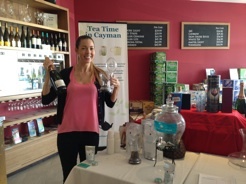 On a monthly basis Kadi & Kelli visit a selection of Tea Time in Cayman’s suppliers to serve a hot and cold sample of our tea! 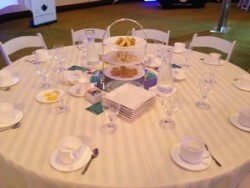 On May 3, 2013, Tea Time in Cayman was invited to join the Mariott in a tea party with their Preference Plus members. 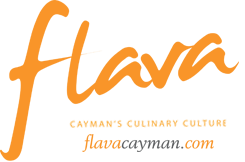 Find our advertisements in Flava magazine! May 2012 Edition: Page 79. September 2012 Edition: Page 29. January 2013 Edition: Page 77. 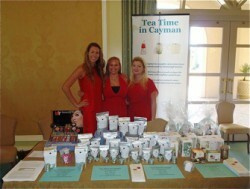 Kelli, Kadi and Robi at the Red Dress Expo March 2012. What Women Want 2011 Our first event! 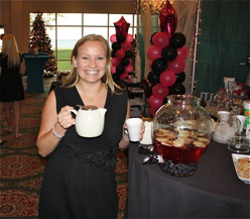 The What Women Want 2011 Expo in November 2011 was the first official event for Tea Time in Cayman.